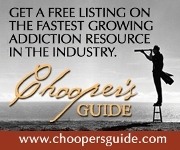 12 Keys Rehab Infinity Behavioral Health Services, Inc.
Infinity Behavioral Health Services, Inc. The first annual conference for senior management in the addiction treatment industry will be held at the Waldorf Astoria in Naples Florida on February 9 - 12, 2014. C4 Recovery Solutions is hosting aXis as a working conference for Board Members, Senior Executives, Medical Directors, Clinical Supervisors, Midlevel Managers and Information Technology staff to plan for and implement strategies to meet these challenges. aXis will also provide critical infrastructure assessment and consultation. 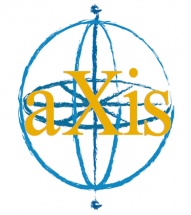 aXis begins with general sessions that map the landscape and timelines involved to form the basis for developing meaningful strategic plans and provide an overview of the challenges, strategies, and goals of the conference. Administrative, Clinical Management/Supervision and Marketing/Client selection and Engagement in-depth Topic Academies follow and form the core of aXis and serve as the basis for making programs more effective and competitive in the changing healthcare environment. Professor Kolditz is an internationally recognized expert on crisis leadership and leadership in extreme contexts and in the development of programs to inculcate leadership and leader development in everything from project teams to large organizations. In extremis leadership focuses on the unique qualities of leadership under circumstances where followers believe that leader behavior will influence their physical well-being or survival. Dr. Kolditz will review four studies exploring leading in dangerous conditions, and present a summative descriptive framework for in extremis leadership. The principles gleaned from this research inform leadership and resilience in both business settings and personal crises. By now, most folks know that the Affordable Care Act (ACA), passed in 2010, requires that health plans cover a core package of healthcare services known as Essential Health Benefits. For mental health and addiction services, these plans must cover inpatient and outpatient care provided to evaluate, diagnose and treat a mental health condition or substance abuse disorder, subject to terms designed by each state on their Health Insurance Exchanges. The law has many other provisions that are in place: young adults covered on family plans to age 26; coverage for pre-existing conditions; transferability, the Medicare donut, and mental health and addiction treatment parity, etc. The major theme of the ACA that providers should be aware of is that health care services should be accountable, integrated, affordable, and promote well-being. It is estimated that as many as 50 million persons are expected to qualify for either expanded Medicaid (in states choosing to participate) or federal subsidies to encourage them to enroll in health insurance on the Exchanges. The recently published rules on the Mental Health Parity and Addiction Equity Act on November 8, 2013, provide further guidance to health plans, Accountable Care Organizations (ACOs) and Integrated Provider Networks (IPNs) to provide the same type of coverage for behavioral health issues that are offered for physical health issues, without discrimination. We also know that over 23 million individuals have treatable addition disorders that can be better addressed by this law provided there is a focused program of outreach. This session will review how mental health and addiction treatment services will likely be applied through Essential Health Benefits and how the treatment community should measure and prepare for the impact of the millions of previously uninsured individuals that will need assistance enrolling in coverage and then accessing the services they need for their conditions. Additionally, we will consider what providers of mental health and addiction services are doing in response to health reform and discuss examples of provider initiatives that define/illustrate the four major components of accountability, integration, well-being, and efficiency/affordability. The presentation will also provide a reference point to consider your organization’s work relative to these major themes. We will address what other organizations are doing to partner with larger health care systems (i.e., ACOs and IPNs) to engage with new payment systems based on episodes of care and not units of treatment, and how providers will report the value and outcomes of their treatment for patients, and demonstrate that their costs and services are aligned with the results that patients need and expect. • How to deliver Behavioral Health services in an essential health benefits environment? Major trends in health reform have created a new focus on defining core constructs such as “medical necessity” and “essential health benefits” as applied in the behavioral health field. These two constructs have become essential components of both treatment and reimbursement approaches. Researchers and practitioners need to develop and implement scientifically valid, precise, and consistently applied Lexicons, and Criteria, Methods, and Metrics that delineate. The session will address recent court decisions, cases and changes in federal and state laws that significantly impact the provider industry. First, with the recent publication of a final parity rule implementing the Mental Health Parity and Addiction Equity Act (MHPAEA), new questions will emerge for providers in the field such as, what do these final rules mean, how will they impact their daily operations, and how to help patients address non-compliance with the law. The first part of this session will focus on two subjects: education on the rules and content of the final MHPAEA regulations that affect providers, and discussion regarding reporting violations and available resources. How to modify business practices to leverage the parity law will also be discussed. Second, the session will discuss the effects of paid to patient regulations in each state, quantitative and non-quantitative restrictions on treatment, changes in the treatment module, regulations regarding patient relations and licensure, avoiding ownership and concurrent conflicts and new oversight and regulation in effect from the federal government. Finally, the session will address: the federal legal requirements for compliance for marketing in the healthcare field to patients; the relationship between compensation and referral fees; new requirements under HIPAA; and the technical requirements for the electronic exchange of healthcare information from a legal perspective. • What about online marketing and pre-assessment online? • How to get clients in the door? Come join us for a Latin Dinner Party!! Feel the heat as we bring out breathtaking décor and high energy…Latin style! The beat of conga drums fills the air as vibrant colors of magenta, orange, amber and blue illuminate and enhance the tropical atmosphere. Enjoy a sumptuous Taste of the Caribbean buffet surrounded by contemporary Latin inspired murals flanked with vibrant jewel-tone pillow columns. Metal Palm Trees illuminated in tropical inspired colors add to your exotic island oasis evening. Enjoy the delightful sounds of the “CALIENTE” Trio playing a variety of Latin and tropical inspired music throughout the evening. Watch and sample our Cuban Cigar Roller from the “heart of Little Havana” as he meticulously hand rolls your cigar to perfection. Come casual to this relaxing networking event. This presentation will explore how the DSM-5 lends itself to outcomes and assessment informed treatment service (OATS) at the clinical level. Pragmatic utilization of baseline and outcomes data, crucial to documentation of effectiveness of treatment services in light of the Affordable Care Act, will also be important to payers. Simply employing the so-called evidence-based practices will not suffice as actual outcomes will be required to prove that a given program is in fact producing the desired results to justify reimbursement. Join us for lunch with leaders from the Women’s CEO Roundtable as they host current and potential leaders to encourage and mentor others who have an interest in this field. Seating is limited to the first 50 participants. Topics of discussion will be a Parity update, outcomes initiative, National, State and local advocacy as well as Ethics. Please get involved at this crucial time in our industry. Creativity, not conformity, will allow the partnership of the Addiction Treatment Enterprise and Addiction Medicine to unleash the true potential of The Affordable Care and Equity Acts (ACA and EA). Contained within these two Acts is the promise of sobriety for previously uncovered and untreated individuals who may now benefit from the growth and expansion of treatment services. These services will require increasingly sophisticated evidence of “medical necessity” and relevance to outcomes. Without regulatory definition this growth might not occur; with legal challenges and political leadership this growth will happen but within an environment of turmoil, competition, and uncertainty. Unfortunately, we will experience and resolve issues only as they emerge. It is estimated that the number of individuals covered with third-party pay will double from 30 to 60 million individuals by 2020, but the ACA provides reimbursement for only six levels of care (in- and out-of-network OP and IOP, detoxification and emergency care). The notable absence of a benefit for residential care, paired with The Center for Medicaid and Medicare Services (CMS) recent severe restriction on reimbursement for the essential diagnostic tool of urine drug testing, create obstacles to sobriety for many and impediments to growth for the industry. Participants within the Executive, Clinical, and Support Academies will be provided an opportunity to examine and develop strategies to promote stability and growth in an environment of tremendous change of the magnitude not often seen in any business situation. Resource acquisition, resource needs, and allocation of human and material resources to meet volatile conditions will be explored. Recognition that treatment capacity may be a bigger problem than competition creates opportunities to collaborate in previously unrecognized ways. Representatives from the three Forums will present a summary of key issues from the previous sessions. Summaries will be available for participants via download link after the conference. This will be an optional component of the conference where attendees can sit in on one-to-one or small group sessions with the conference faculty for personalized work on their issues, concerns, and programs.